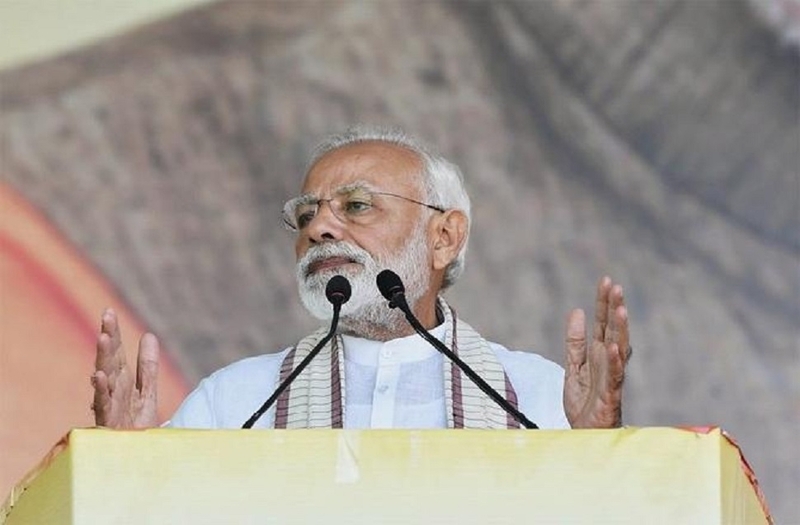 ON THE 39th foundation day of the Bharatiya Janata Party (BJP) on Saturday, Prime Minister Narendra Modi expressed confidence that its workers would be working day and night to ensure that the party and its allies are “blessed” by people in the Lok Sabha polls. In his tweets, he said the BJP was born with an unwavering commitment to serve society and take the nation to new heights, and that it has become India’s preferred party. “The BJP stands tall due to its democratic ethos and patriotic zeal. This is a party that is always on the ground, at the forefront of helping fellow Indians. Our development work has endeared the party to all sections of society, across the length and breadth of India,” Modi said. Meanwhile, Finance Minister Arun Jaitley on Saturday asserted that the “biggest political party in the world”-BJP will once again win the ensuing the Lok Sabha elections under the leadership of Prime Minister Narendra Modi and party’s Chief Amit Shah. Speaking to media outside BJP headquarters, Jaitley said, “We are the biggest political party in the world as we have maximum numbers of workers. And we will again come back to power under the leadership of PM Narendra Modi ji and Amit Shah.” Jaitley made these remarks during the celebration of 40th foundation day of BJP. Jaitley said, “Today it is BJP’s 40th establishment day. In 1980, Janta party which was constituted after emergency was separated. Following which the BJP emerged and begun his journey. “From 1996, we have not lost more than one or two elections, and have always emerged as one of the largest political party in the Parliament,” he added.